The month of September has definitely become one of my favorite months because all of the fashion that is jammed into it. So for those of you that are avid fashion lovers, want to attend a fashion show, and need some help styling; this post is for you! 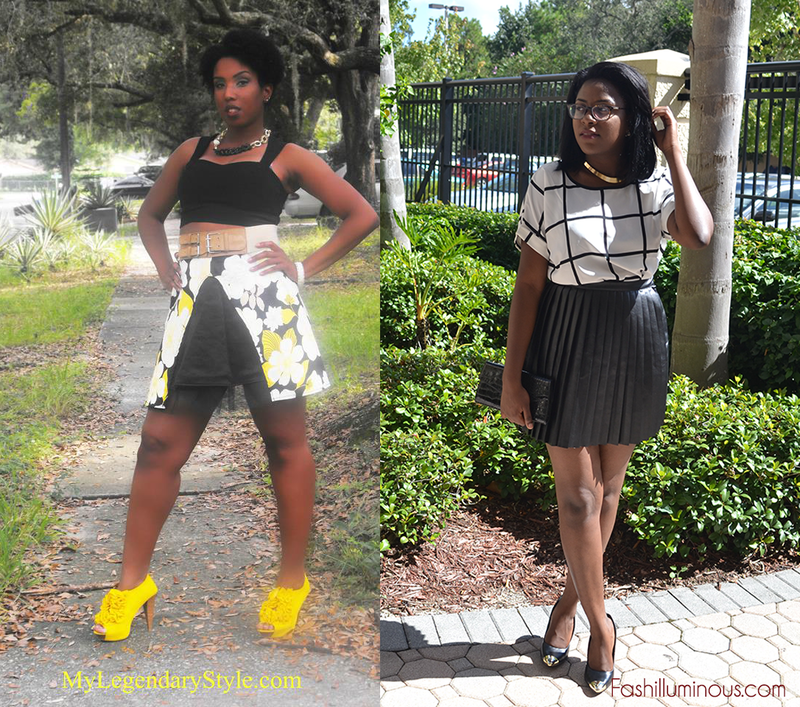 I teamed up with Samantha from Mylegendarystyle to provide you all with two outfits that we would wear to a fashion show. Coincidentally we happened to both wear black which hinted to me that we are fashion sisters Lol! Details about my look: I’ve been a sucker for the color combination of black, white, and burgundy (hence the reason for my look). I chose the top because of the nice subtle print. The pleated skirt is leatherette so its great for the season. I kept the outfit simple by finishing it off with black pumps and a gold necklace to keep it cool and classy. Wondering where the burgundy is? My lips! I am a lover of burgundy lips so I couldn’t pass on incorporating it in my outfit. This look gets the Fall Fashion stamp of approval guys! When attending fashion shows my advice is to go for a dressier look. Throw on those heels (most comfortable pair) and some lipstick and you’re good to go! Samantha and I both decided to wear skirts but if you’d prefer to wear other bottoms try going for a pair of tailored trousers. Both looks are versatile as well, so whether it is a day or night fashion show we got you covered. Let us know your thoughts! What are you all wearing to all of these fashion events?